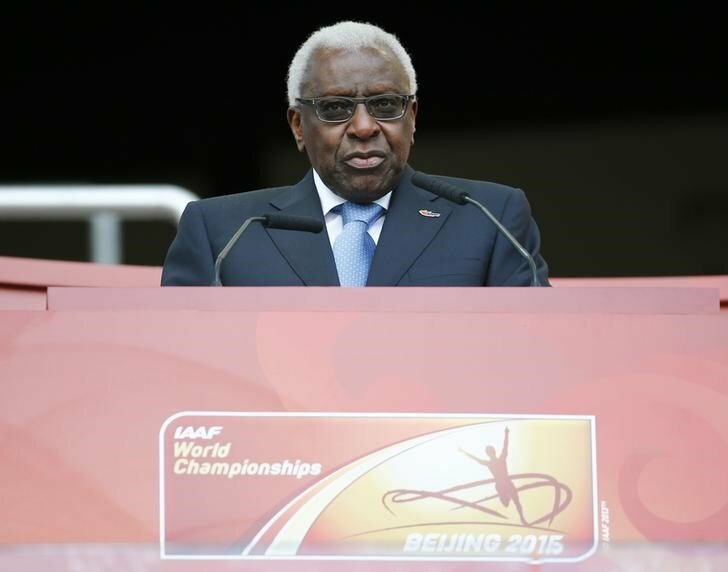 (Reuters) – Former global athletics chief Lamine Diack, who is under investigation in France on suspicion of corruption and money-laundering, has resigned as president of the International Athletics Foundation (IAF), the IAAF said on Tuesday. The foundation is a Monaco-based charity best known for its work with the year-end world athletics gala in Monte Carlo. Prince Albert II of Monaco is honorary president of the foundation and Diack had been its president. The International Association of Athletics Federations (IAAF) said it had received a letter from the 82-year-old Diack resigning his position with the foundation. Diack, who stepped down as president of the IAAF in August, last week was placed under formal investigation by French authorities on suspicion of graft and money laundering. He is alleged to have received over 1 million euros ($1.09 million) in bribes in 2011 to cover up positive doping tests of Russian athletes, the office of France’s financial prosecutor has said. In addition to its work with the athletics gala, the athletics foundation assists the International Association of Athletics Federations and its member federations in the development and promotion of athletics worldwide. This year’s gala, scheduled for Nov. 28, was cancelled after the investigation of Diack was announced.